Manassas, VA– Newsboys are scheduled to perform on Tuesday, February 24, at the Evening Session of the NRB 2015 International Christian Media Convention in Nashville, TN. 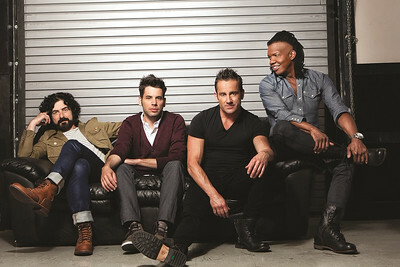 Comprised of lead vocalist Michael Tait, Jody Davis (guitar), Jeff Frankenstein (keys), and Duncan Phillips (drums), Newsboys are one of the most influential bands in Christian music today. The group has more than eight million units sold, 33 #1 radio hits, four GRAMMY® nominations, multiple Dove Awards, and five Gold records, among numerous other accolades. The title-cut from the group’s best-selling 2012 recording, God’s Not Dead (Like A Lion), topped the CHR chart for seven consecutive weeks and garnered an RIAA Gold certification. The band’s Restart, released in 2013, features the history-making #1 hit, “We Believe,” which topped the Billboard Christian Music chart for 15 consecutive weeks to become the band's longest-running #1 single to date. The band’s first-ever hymns recording, Hallelujah For The Cross, was released November 2014.